The Wyverns scored nine runs in the sixth inning to post an 18-8 victory over Wilbraham & Monson. Kingswood Oxford had a 7-3 lead early in the game but Wilbraham & Monson battled back to within 9-8 entering the bottom of the sixth. Coach Jason Bradley challenged the team to respond and they did. 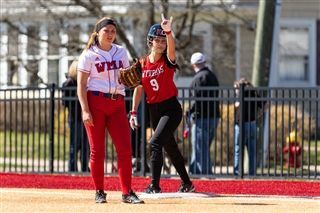 Olivia Pear '21 and Mackenzie Caruso '22 led the Wyverns with four RBIs while Brie Toedt ’21 drove in three runs for KO including a two-tun base hit in the sixth. Pear drove in two runs on slap hits in both the second and sixth innings while Jocelyn Ram '20 added an RBI ground-rule double to left center in the fourth. All around, the Wyverns were swinging the bats and using aggressive base running to cash in on hits and walks. Kyra Dunnirvine ’23 pitched well and Ava Radmanovich '21 was solid at shortstop. 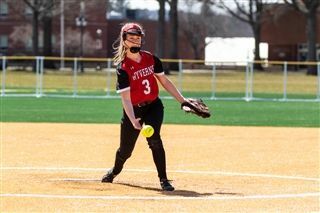 “These Kingswood girls continue to show pride in themselves and determination working hard in practice wanting to succeed in games,” Bradley said.